Their twelfth release, 2015’s ‘Subculture’ shows no signs of the band becoming complacent. If anything, the dark subject matter scattered throughout its twelve songs highlights the work of songwriters and musicians who feel as angry at the world as they ever did, and the enlisting of Prince Fatty in the production department only serves to give each note more weight. In terms of overall sound, it comes with a smoother and more satisfying production/mix than their previous LP, 2013’s ‘String Theory’. For those who liked that album, this should bring an equal amount of listening pleasure. At the very intense end of their musical arsenal, ‘Breakdown’ deals with institutional racism within the British police force and finds Arthur ‘Gaps’ Hendricksen reading a list of black casualties over a heavy beat. A track dominated by deep bass, it affords some of the heaviest reggae to The Selecter’s work in some time…if indeed ever. Pauline Black, the first lady of ska, tackles domestic abuse on ‘Open Goal’ with a delivery that’s become richer with age – her voice not so much retaining the brash confidence of her youth, but rather more stretching it, almost soulfully, with the kind of tone and assured approach that only comes with age and experience. Some first rate Trojan-inspired sounds come courtesy of ‘Box Fresh’, ‘It Never Worked Out’ and ‘See Them a Come’, tunes that really benefit from bristling arrangements and a timeless appeal. ‘Box Fresh’ mixes muted guitar parts with an uplifting groove and some top percussion flourishes – all leading to a ska arrangement that’s perfect and timeless – but the piece is owned by Black. Curling her voice around each line, it’s a very natural performance, enjoyable from the kick-off, but by the time she reaches the chorus, imploring us to reach for “a brand new beginning”, it’s impossible not to be absolutely swept along with The Selecter’s sounds. Taking up the mic for ‘It Never Worked Out’, Gaps sounds a bit more sedate, carrying more of a Jamaican easiness, but the tune is given the all-important lift via a well-arranged harmony vocal. ‘See Them a Come’, meanwhile, has more than a smattering of early Jimmy Cliff and Desmond Dekker in its arrangement – a strong ska backline punctuated by classy, understated horns very much the order of the day – while Gaps sounds altogether more enthused. Overall, in terms of classic ska, tunes don’t come much better than this. With a tough groove, ‘Walk The Walk’ employs a high level of swagger in reggae terms, with the lyrical invitation to stand up for your beliefs and “never give up the fight”. With plenty of harmonies from Pauline and a little toasting from Gaps set against a smooth horn section and punchy bass, this really hits the spot and thanks again to the overall professionalism of the performers, it doesn’t ever come across as clichéd or trite. The lyrics may have a bite, but the tune is made of a pure feel-good spirit. Turning up the sixties retro twang in the guitar department, ‘Babble On’ harks back more to the earliest Selecter works and in doing so, lends the album even more variety. …And when hearing Black tap into the higher registers of her range, you can tell that this was fun to record for all involved. The good time nature of the music juxtaposed with a heavy and political lyric (in this case, the ongoing conflicts in Israel) shows off a skill the band have always had, but rarely have they delivered it in such a smooth and effortless fashion. 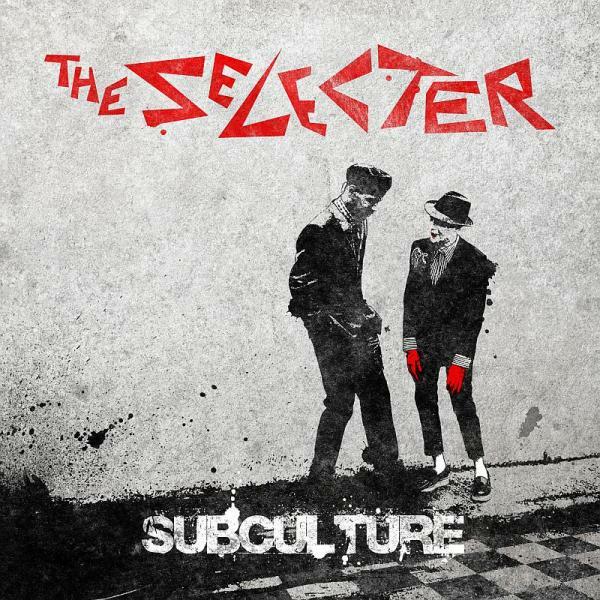 The Selecter have always dabbled with cover tunes, and ‘Subculture’ features a surprisingly enjoyable reggae workout of Patti Smith’s ‘Because The Night’. A number tackled by many and mastered by few, Black sounds in her element here, especially as the harder edge of her voice manages to capture that slightly off-key lilt that made the original recording so distinctive. Musically, of course, the band sticks fairly rigidly to their best brand of mid-paced chops: not so much inviting the best kind of ska knees-up, but certainly welcoming a thoughtful nod of the head in appreciation of a very tight arrangement. 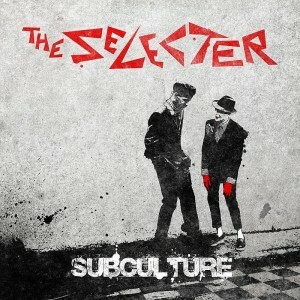 While a few of the lyrics place it within the early part of the twenty-first century, musically, ‘Subculture’ is an album that could have been made at any point during the forty years before it actually was, and it would have turned out the almost the same…and it’s all the better for it. The youthful spirit may have naturally faded, but the sharp lyrical bite and faultless musical arrangements that are prevalent throughout prove that in 2015 The Selecter are still a great musical force – not just in ska, but as part of British music as a whole. This entry was posted in Album & EP Reviews and tagged classic album, pauline black, reggae, ska, the selecter by Real Gone. Bookmark the permalink.